Hey Curvies! I know I've been slacking lately, I'm back and I have some exciting things coming up. First off is BeautyconLA.. 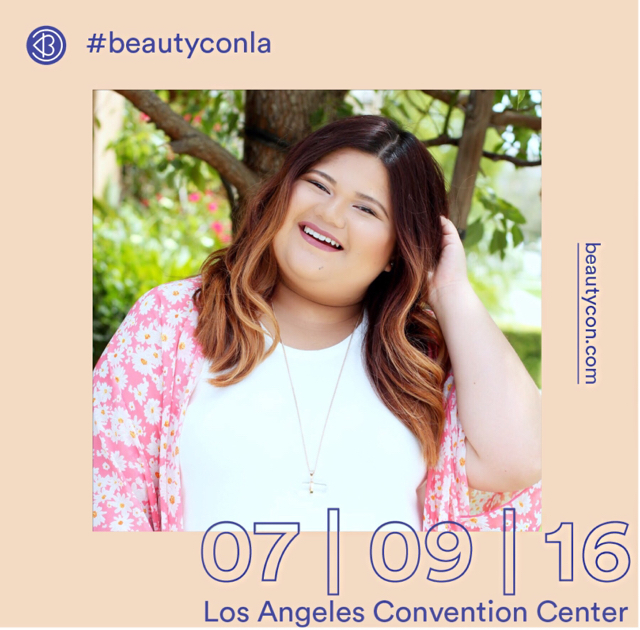 Yes, I'll be at BeautyconLA this coming July 9th. Grab your tickets now and Let's hang and enjoy a beauty day together. I know I wrote a blog post about beautycon last year, it being too crowded and chaotic. They finally listened to everyones feedback and they changed the location to a much much bigger space at LA Convention Center and I bet it is much more organized now . I can't wait to enjoy the whole day glamming and I can't wait to meet you Curvies!